I have always loved molasses cookies. Maybe it’s because of the rich, earthy taste of molasses, or maybe it’s because it brings back memories of sitting in my Aunt Nell’s house eating her huge, soft molasses cookies and drinking her cool, sweet lemonade. Now I have even more reason to love them. Although it seems to be well-known to some, I have only recently discovered that molasses is full of nutrients like iron, calcium, manganese, magnesium, and selenium. According to www.whfoods.com, the molasses we produce here in the United States is made from sugar cane. An article on that website goes on to explain that molasses is created during the process of making sugar. It is basically the sugar cane juice that remains after the sucrose has been removed. There are different types of molasses, based on the amount of processing (which includes spinning and boiling the juice) the sugar cane juice has undergone. The syrup that results from the first round of processing is the light molasses we see at the grocery store. It has the mildest taste and least amount of nutrients of any molasses. The molasses produced by the second round of processing is the dark molasses we see in the grocery store. This version of molasses is thicker, darker, and more concentrated, containing more nutrients than the light version. And finally, a third round of processing is possible, creating what is known as blackstrap molasses. This molasses is the darkest form, and the most rich in terms of minerals. Blackstrap molasses can be a little harder to find, and you may need to buy it at a natural food store. However, it is not expensive–I got a sixteen ounce jar for under three dollars. I love the idea that an ingredient in cookies is so full of minerals! I am especially interested in the high iron content of blackstrap molasses, because we don’t eat a lot of red meat in my family, so I am always looking for natural ways to get enough iron. 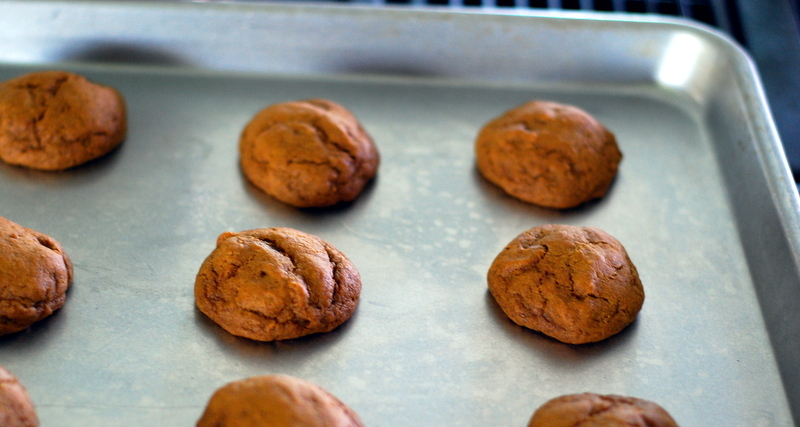 I am going to post a recipe I use for molasses cookies. This version is pretty quick and easy to throw together, and it results in soft, flavorful cookies. 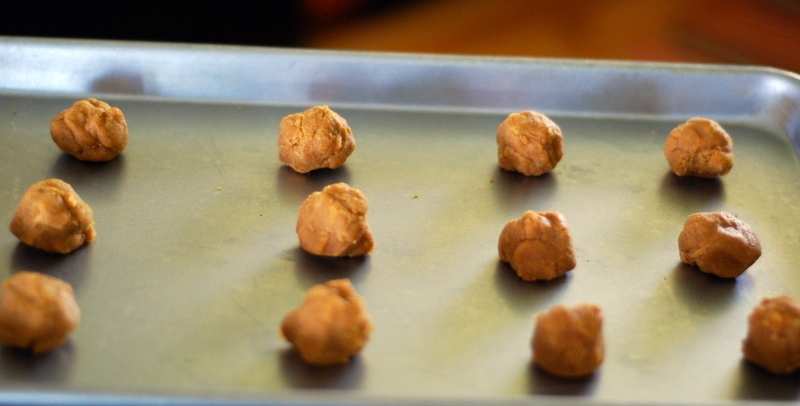 I like to make the size of these cookies small so they are easy to grab on the go. My kids love them, and they are perfect for an after-school snack or a dessert in their lunch bags. My husband and I love them as well.